Attention ALL Leet Township Residents: Please be sure to name Fair Oaks Fire Department on your Homeowners Insurance even if you have a 15143 zip code. Thanks! 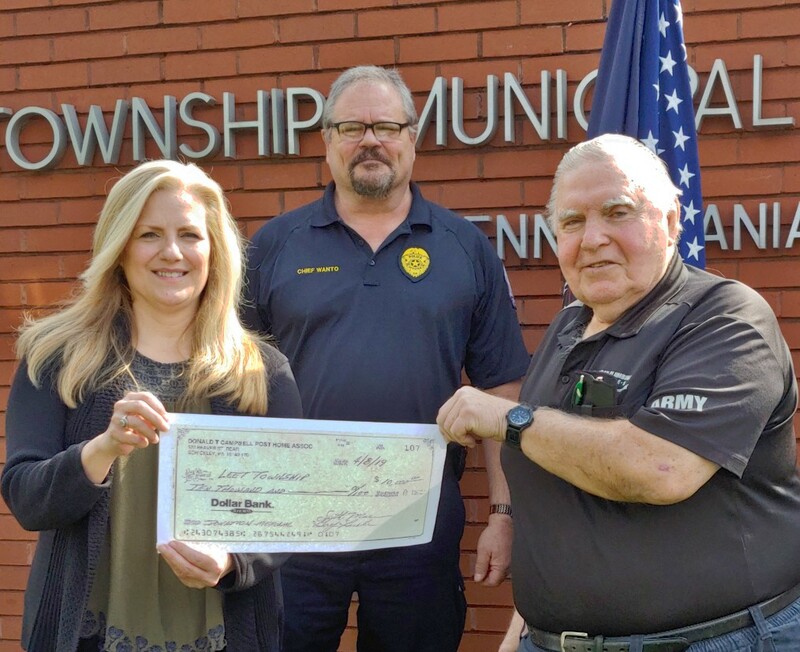 Thank you to Gary Bradel and the Sewickley VFW for their generous donation of $10,000.00 to go towards a new War Memorial in Leet Township. Leet is collecting names of residents who were/are veterans and is in the beginning stages of designing a new memorial as the old memorial is in disrepair. Thanks again to Gary and the Sewickley VFW for their support! Happy 150 Anniversary Leet Township! On the 20th day of February 1869, a petition of diver (several) citizens of Sewickley Township, adjacent to the Ohio River and Sewickley Borough, was presented to court showing that they were laboring under many disadvantages in their connection with the back part of said Township and asking to have the new township erected out of that part of Sewickley Township lying between the river and the Ohio Township line. The new Township was to be called Leet. On June 26, 1869, Sewickley Township was officially divided into two townships with one known as Leet Township. Spring Food Drive: starting in March and through April 12th, the Township will collect non-perishable food items to help feed those in need for the Spring Season. Donate your non-perishable items at the Leet Township Municipal Building, Watson or Health South/Encompass. Thanks to all that participated in the food drive! It was a great success! 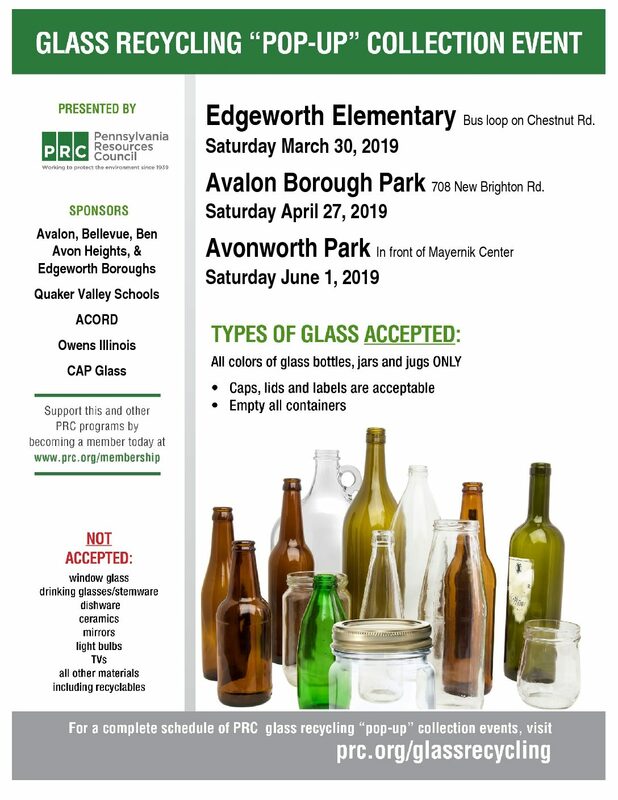 Keep Leet Neat: Leet Township will hold its annual Keep Leet Neat Day on April 27th. 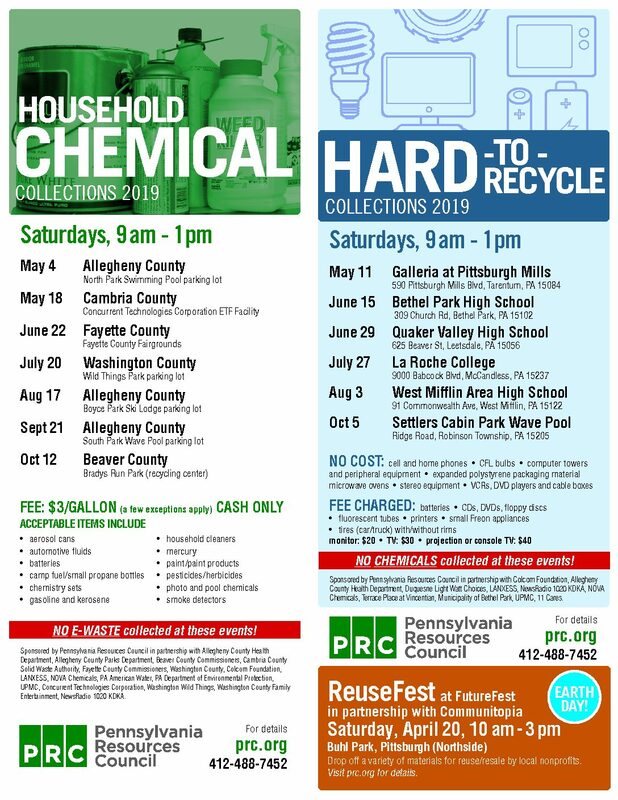 Volunteers from the Community are asked to join us to help clean up our roadways, streams and yards and keep them free of garbage, junk and clutter. Bags, gloves and safety vest provided. Refreshments served following. Community Garage Sale: Leet will hold and advertise a community wide garage sale. Saturday, June 1st. Rain Date: Sat. June 8th. Dinner and a Movie Night: Leet will hold three Dinner and a Movie Nights throughout the Summer months. Enjoy a movie while eating food. Leet Township Open House: Come enjoy the history of Leet Township on our 150 Anniversary. We will have historical photographs on display, along with hand written ordinance and minute books from as far back as 1901. Refreshments served.